We are writing to inform you about a potential security vulnerability that has been identified in HPE Integrated Lights-out (iLO 4). This vulnerability could be exploited remotely to allow authentication bypass and execution of code. We kindly advise you to perform an upgrade to the latest available firmware version. 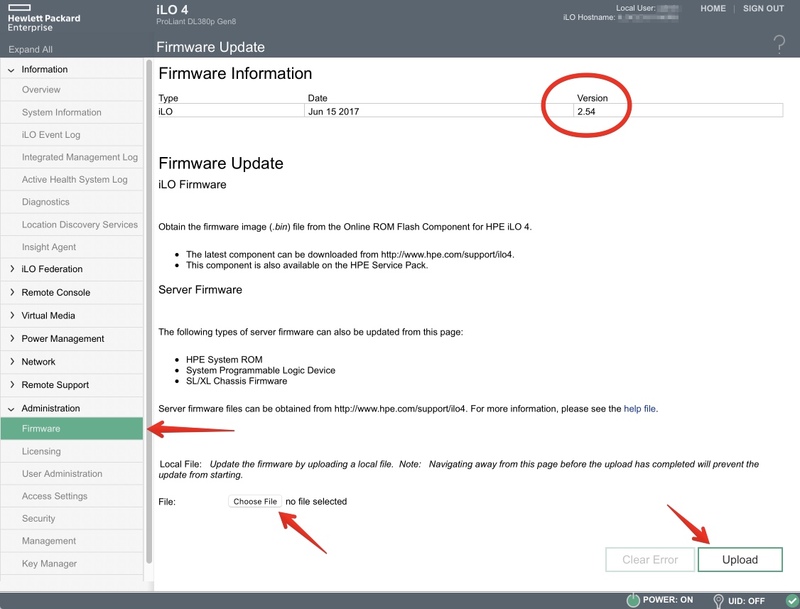 The firmware .bin file is here.